This exclusive blend of pure vanilla extract from the finest quality premium Madagascar Bourbon and Tahitian vanilla beans attains the highest desirable taste notes. Masterfully grown on plantations in the South Pacific and the Bourbon (Reunion) Islands, ripened on the vine, cured carefully and brought to California, this 'Vanilla Panifola Andrews' and 'Vanilla Tahitensis' with vanilla bean seeds will create new taste sensations in all of your culinary adventures. 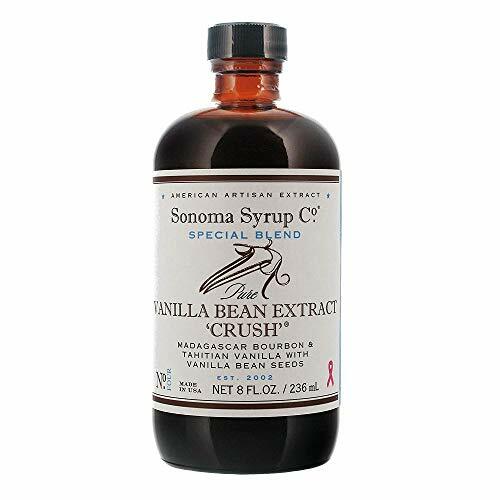 Special Blend Vanilla Bean Extract "Crush"